I just received All Ye Faithful in my last order. The sketched designs are perfect for embossing or watercolouring, and I've been seeing a lot of beautiful cards made with this design. I like the way they highlight the true meaning of Christmas as well. 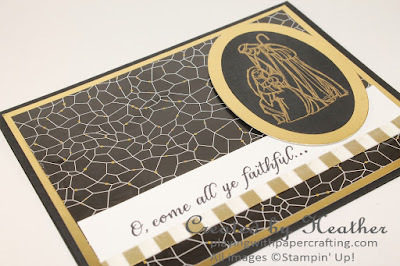 The combination of Basic Black, Whisper White and Gold is bound to create a classy card, whatever you do, but especially when paired with this amazing Winter Wonderland Specialty Designer Series Paper from the Holiday Catalogue. I absolutely love this particular background design. So three layers on the base - the card base, the Gold Foil Sheet and the DSP. Then I took a simple 1" strip of Whisper White and stamped the sentiment on that with Basic Black Archival Ink. To add some interest, I used some Winter Wonderland Designer Washi Tape along the bottom. 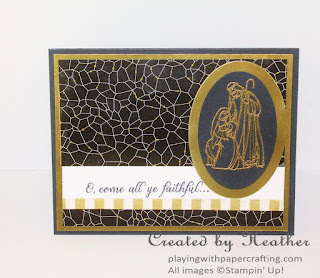 On Basic Black cardstock, I stamped the image in Versamark Ink, added the Gold Stampin' Emboss Powder and heat set it with the Heat Tool. Using the Ovals Collection Framelits, I die cut the image with one oval and the Gold Foil backing with the next largest size. After adhering the two ovals together, I popped them up on Stampin' Dimensionals, and that's all there is to it! Give it a try yourself! Try some other designs with that beautiful paper and stamp set. 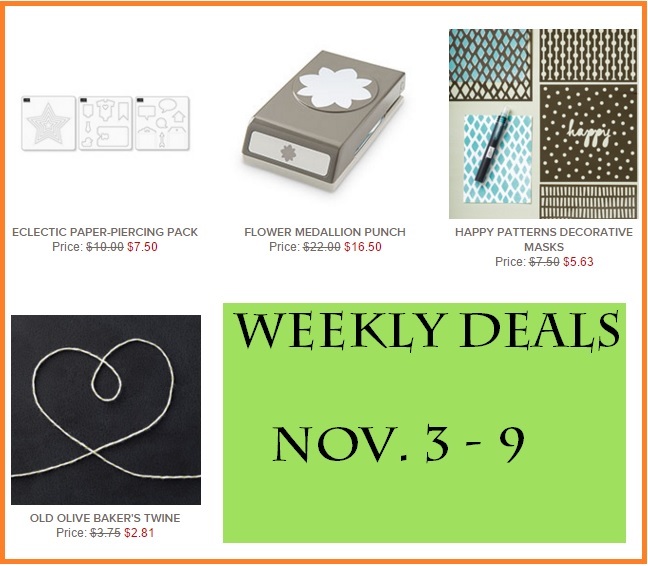 Don't forget that you can earn Double Papercraft Cat Points in November for every $30 spent. Find out more about my Customer Loyalty Rewards program here.